This was my contribution to Friendsgiving. This year we stayed in Norfolk, so all of our friends each brought a dish to pass, and we had a Friendsgiving. We played cards, ate and drank and had a very good time. 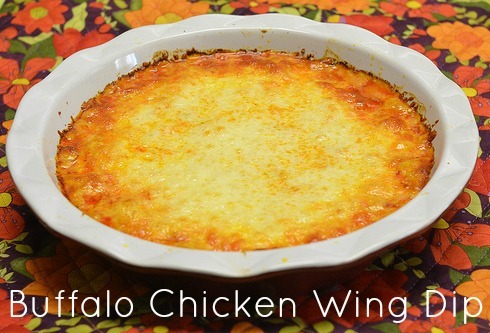 Anyway, when I first said that I was going to bring chicken wing dip, I got a mixed reaction. Some said that it wasn't a Thanksgiving food, and other's reaction was more like "OMG YES." That being said, when I showed up on Thursday with said dip, it took all of 10 minutes to be demolished. This is some good dip people. And I am taking absolutely no credit for this recipe. I'm not sure where it came from, but it is one of those ones you just know. It is a go-to for things like football games, birthday parties, Thanksgiving, etc. This is the recipe, which you should now treat like gold. 1. Cook the chicken breasts through. I usually boil them. Then you can either finely dice them, or pull the chicken, so that it is in bite sized pieces. 3. In a medium bowl, mix the pepper sauce with cream cheese (if you don't warm the cream cheese a little bit, it will not mix very well). 4. Add the shredded cheddar, ranch, and chicken to the cream cheese and pepper sauce, making sure to mix thoroughly. 5. Pour the mixture into an oven friendly dish. This can either be a pie plate, or an aluminum pan. *If a layer of oil gathers at the top, it is good to gently lay a paper towel on the dip and soak it up. I hope that you try this. It is so easy and extremely delicious.